Northern Ireland will be eyeing the biggest upset so far as they prepare to take on World Champions Germany in the final Euro 2016 Group C fixture on Tuesday night. 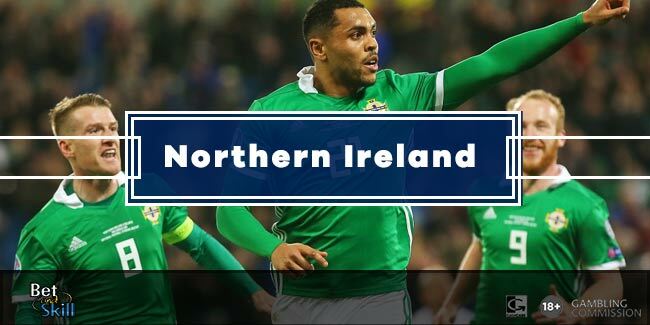 Don't miss our Northern Ireland v Germany betting preview with free predictions, betting tips, highest odds, probable line-ups, streaming links and no deposit free bets on the Euros. Following a narrow 1-0 defeat by Poland in their Euro 2016 opener - a result that ended their 12 match unbeaten run - Northern Ireland beat Ukraine 2-0 to notch their first win in a major tournament in 34 years. They were resolute in defence, braver on the ball than they had been against Poland, and crucially they scored the first goal. Michael O'Neill's men are guaranteed a minimum third placed finish in Group C.
Key striker Kyle Lafferty will probably be on the bench again as his team-mate Conor Washington deserves to retain his starting berth up front. As consequence, O'Neill is expected to field the same starting line-up who beat Ukraine few days ago, meaning that scoring hero from the Ukraine game Niall McGinn is also likely to miss out on a start. Germany haven't set the tournament on fire. The Mannschaft beat Ukraine 2-0 in their tournament opener but they were lucky to come away with a 0-0 draw against Poland last time out. The German are top of the group but they have the same points tally as Poland and their goal difference is just one superior. Of course, they will definitely go through to the tournament's last 16 with a win or a draw in this match but they don't look strong as they were in Brazil 2 years ago. Boss Joachim Low is expected to make wholesale changes to his starting XI. Jerome Boateng, Mesut Ozil and Sami Khedira are all a booking away from suspension and are the most likely to be rested should the manager decide to rotate. Mario Gotze could be dropped to the bench following two disappointing performances so fare and could be replaced by Mario Gomez, top goalscorer in Turkey thsi season. Reports have emerged suggesting Thomas Muller could be used up front, which could present a chance for Leroy Sane to announce himself on the international stage. Northern Ireland (4-5-1): McGovern – J.Evans, Cathcart, McAuley, Hughes – Dallas, Norwood, Davis, C.Evans, Ward – Washington. Germany (4-2-3-1): Neuer – Hector, Mustafi, Hummels, Can – Schweinsteiger, Kroos – Draxler, Ozil, Sane – Muller. 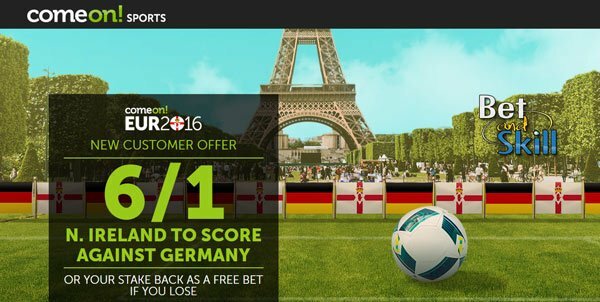 Join 888sport and get 80/1 Northern Ireland or 4/1 Germany to win! 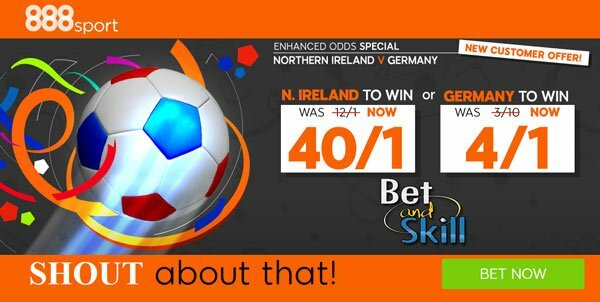 "Northern Ireland v Germany predictions, betting tips, lineups and odds (Euro 2016 - Group C - 21.6.2016)"